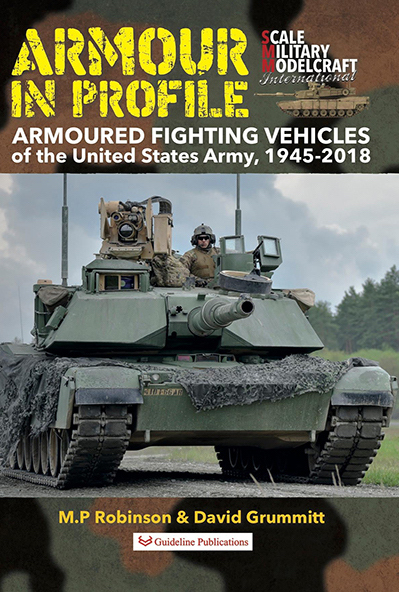 Armour in Profile-Armoured Fighting Vehicles USA 1945-2018 By MP Robinson, David Grunnitt, Leif Robinson Armour in Profile: Armoured Fighting Vehicles of the United States Army, 1945-2018 contains profiles of five armoured fighting vehicles that have shaped the strategy and tactics of the United States Army since the end of World War II. From the battlefields of the Korean Peninsula and the jungles of Vietnam, to the plains of Central Europe and deserts of Iraq and Kuwait, these vehicles are iconic of American military might. Beginning with the M47 and M48 Patton tanks, replacements for the M4 Sherman, it goes on to examine the M60 tank and the mighty M1 Abrams Main Battle Tank, a vehicle that is expected to serve as the principal weapon of the U.S. Army for at least another two decades. As well as these main battle tanks, it profiles the 'King of Battle', the M109 self-propelled howitzer, another relic of the Cold War continuously updated to meet the challenges of warfare in the twenty-first century. Finally, the book looks at the 'REFORGER' exercises held in the 1970s and 80s, at the height of the Cold War, and which moved thousands of U.S personnel and vehicles to Germany on an annual basis. M911 & M10770 HET Heavy Equipment Transporters in Action Under the best of circumstance, driving tanks to the battlefield, often called ‘road marches’ are extraordinarily inefficient. Tanks consume vast amounts of fuel, provide relatively poor visibility, and perhaps most importantly, are incredibly maintenance intensive. Driving tanks for hours on end puts a great deal of strain and wear on a number of expensive components (and roadways as well), and repairing or replacing parts worn through road marches puts a great burden not only on the tank crews, but maintenance personal as well. Oftentimes, tanks are not able to travel as rapidly as wheeled transporters, making long movements a slow process. For these reasons, it is common to haul tanks forward. Once in a forward area, tanks that are disabled frequently need to be moved to a rear area for repair. While battlefield recovery is most often done through the use of armoured recovery vehicles, such as the M88, retrieval under less hazardous circumstances is often done by wheeled vehicles, the very same vehicles that are used to transport tanks to the front. For the past several decades, the US Army has relied on two vehicles produced by Oshkosh Trucks (now Oshkosh Corporation) for this duty. 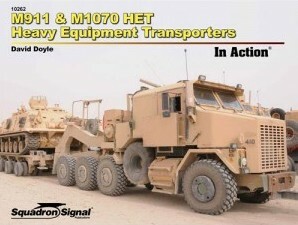 These vehicles, the M911 and the M1070, are both massive trucks-as you would expect for vehicles tasked with winching and hauling tanks and other armoured vehicles and heavy equipment at highway speeds. On these pages we will explore the characteristics and use of these vehicles, but the photos on these pages do not fully show the size and robust construction of this equipment. Illustrated with over 220 B/W and colour photos and data tables. 80 pages.